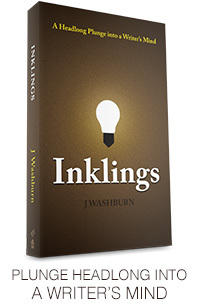 Author J Washburn: You don’t even know what travesty MEANS! You don’t even know what travesty MEANS! I’ve got to get this out of my system. No. No it wouldn’t. Travesty doesn’t mean tragedy! noun: A false, absurd, or distorted version of something. It comes from the latin tra- (to change) and vestire (clothing). So it means to dress up. It’s a fake something that looks like the real thing. A mockery. It is such a travesty that I did not know what this word actually meant until today! It is such a parody that I did not know what this word actually meant until today! It is such a spoof that I did not know what this word actually meant until today! It is such a mockery that I did not know what this word actually meant until today! Now the word transvestite makes sense--well not really. Ok...Travis is your middle name? I never knew that. Nice blog. 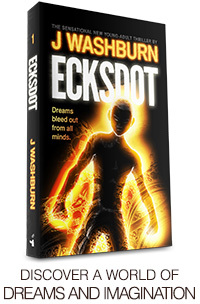 And Ecksdot looks intriguing -I'm impressed that you've even got the cover designed! And you're already working on another book it looks like! Did you know that Autumn enjoys writing stories too? Have you read any of hers?